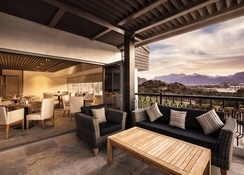 Our 48 deluxe chalet-style rooms, 2 suites and 2 villas all feature a private balcony or terrace and guests may choose to also engage in tennis, mini-golf, archery and a choice of special entertainment options. 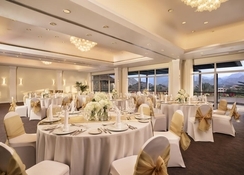 Mountain view meeting rooms and garden venues make JA Hatta Fort Hotel an inspiring location for tailor-made events. WiFi is available in the lobby, guest rooms, meeting rooms, restaurants and pools. 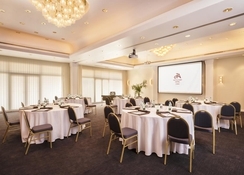 Set in 80 acres of manicured gardens, surrounded by the majestic Hajar Mountain range and wild nature, this 4 star hotel retreat in Dubai is the ideal destination for leisure, business and incentive stays. 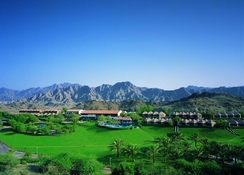 The Hatta Fort Hotel JA offers two temperature-controlled swimming pools, one of Which is fed by a waterfall. 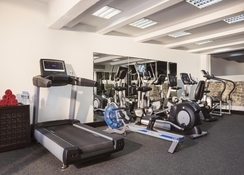 Guest have access to floodlit tennis courts and a 3-hole driving range. The Hotel Can Also Provide massages. The room includes tea and coffee making facilities. A safety deposit locker. Mini-bar; telephone; Hairdryers; satellite TV; DVD player; Walk-in shower, bathrobes and Turndown service. Free WiFi is available in all guest rooms. 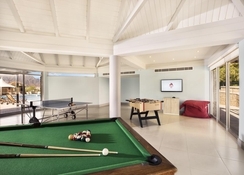 Each chalet-style room can accommodate two adults and two children below the age of 6.